Background: The metabolic syndrome unites three pathologies of the person – obesity, arterial hypertension and diabetes. In recent years the progressing of such distribution covering from 2.5% to 3.8% of the population with increase twice each 10-15 years is noted. Even at maintenance of level of sugar at diabetes accumulation of the secondary metabolites breaking small vessels isn't excluded. At the same time many lifeendangering complications develop. Objective: To identify the possibilities of plasmapheresis in the prevention and treatment of complications of metabolic syndrome. Method: Analysis of the world literature data on complications of metabolic syndrome and methods of their treatment. Results: At metabolic syndrome the frequency of strokes and myocardial infarctions there is twice more often than in population. For 5-9 years the general life expectancy decreases. Disorders of microcirculation at diabetes lead to a retinopathy with total loss of sight, a nephropathy from the outcome in a renal failure, to polyneuropathy and diabetic foot syndrome with high risk of high level amputations of the lower extremities. At the same time medicamentous therapy is not able to prevent such complications and almost only way of removal of these pathological metabolites is therapeutic apheresis, mainly the plasmapheresis. Data from our own studies confirm the effectiveness of such tactics. Conclusion: Plasmapheresis has to be applied not only to the correction of already critical conditions, but also to their prevention. 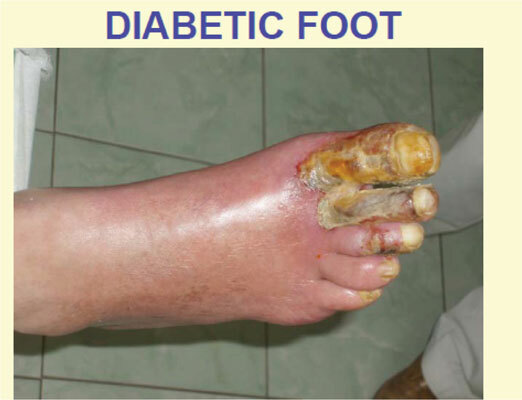 Metabolic syndrome, diabetes, diabetic foot, diabetic nephropaty, retinopathy, plasmapheresis.